In April 2017, Associação Capoeira Alto Astral brought dozens of capoeira practitioners to Lisbon for the commemoration of the 29 years of the group. 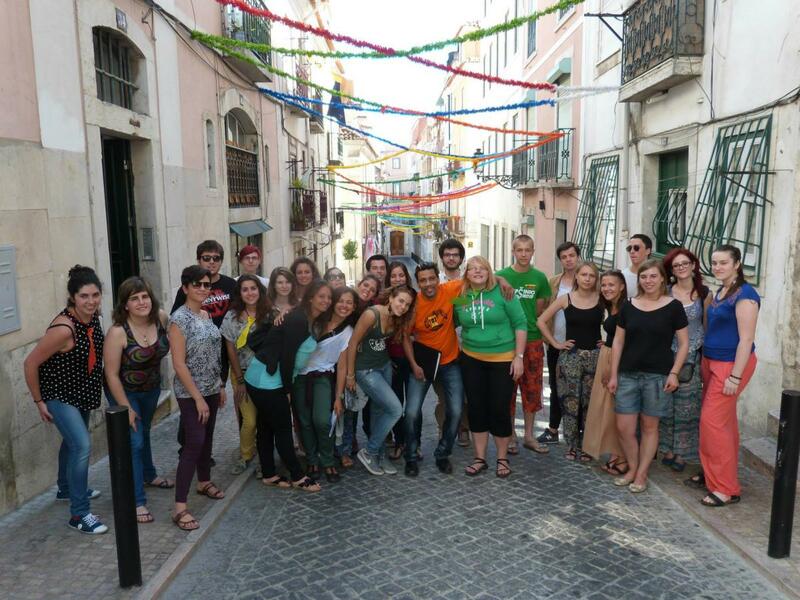 Spin Hostel was the ideal place for 28 people coming from all over the world to join the Festival that celebrated the historic and cultural relations between Portugal, Brasil and Africa. There were shows, theatres, workshops, Frevo dance and many capoeira well known masters. All the info about the event here. 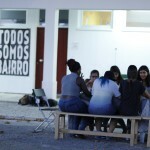 In September 2016, Associação Cultura 100 Fronteiras brought 26 youngsters to Spin Hostel. 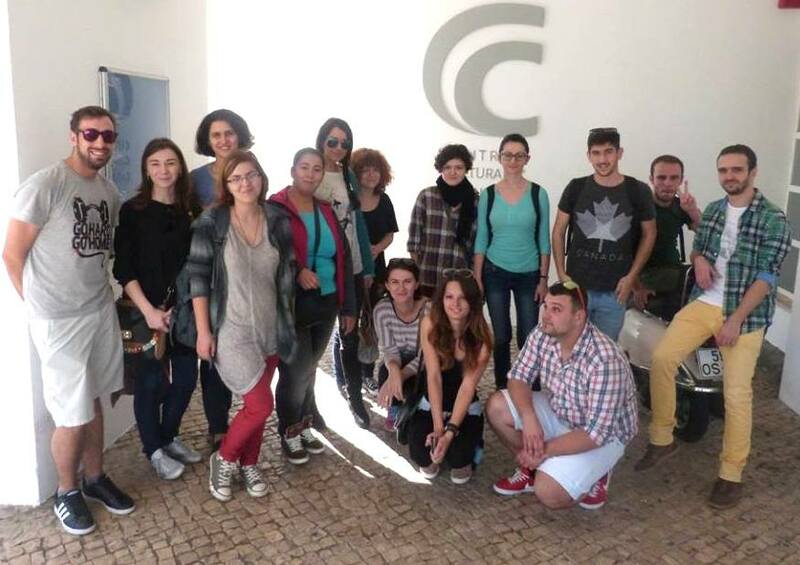 They came from Croatia, Czech Republic, Italy, Spain, United Kingdom and Portugal for a 6-days international youth exchange entitled ”Olympic Games for Inclusion” with sports as main focus as a way to foster social inclusion and promote intercultural dialogue amongst the immigrant’s community. This group made several activities together with the local community, such as races, street football championship, Capoeira and even a party with live music in the outdoor spaces of the Hostel! Aga Khan Foundation hosted in Spin Hostel a group of 20 young people that came to participate in a training in photography between 4-10 September 2016. The main aim of this training was the empowerment of youngsters in photo techniques in order to provide them with a unique experience that could become their job in the future. 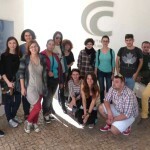 Some of the best works of the youngsters are exhibited in Ismaili Center in Lisbon and can be seen in here. 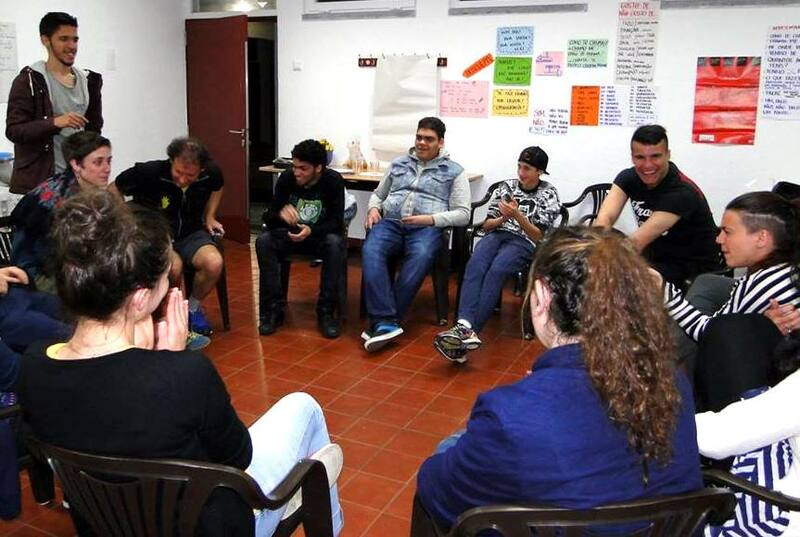 The group Theatre of the Oppressed (GTO LX) has booked Spin Hostel for 25 young people from several European countries that came to participate in the international youth exchange “You(th) create to Praxis” during July 2016. This project had the objective to maximize the idea of art as a tool for social participation through the practice of Theatre of the Oppressed. 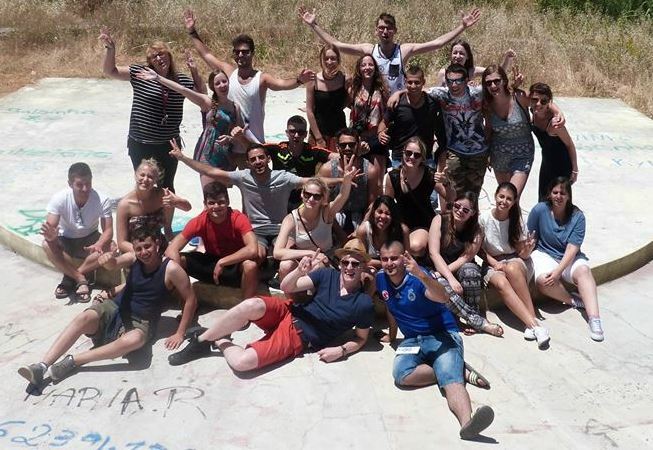 Spin Association hosted in July 2016 in our Spin Hostel a group of 25 young participants of the youth exchange “Make it happen!” coming from Spain, Estonia, Israel, Poland and Portugal. In partnership with Junta de Freguesia de Carnide and “A nossa rua” project, this initiative intended to sensitize youngsters to the importance of volunteer work as an expression of citizenship and solidarity. Amongst several intercultural learning moments, also bonds of friendship were created between the participants and the community of Carnide. Live it Lisbon! Programme from Spin Association provides the opportunity to make a difference in a community while knowing people from all corners of the world. The several groups that participated in this experience in 2015 and 2016 have created unforgettable memories through volunteer work. 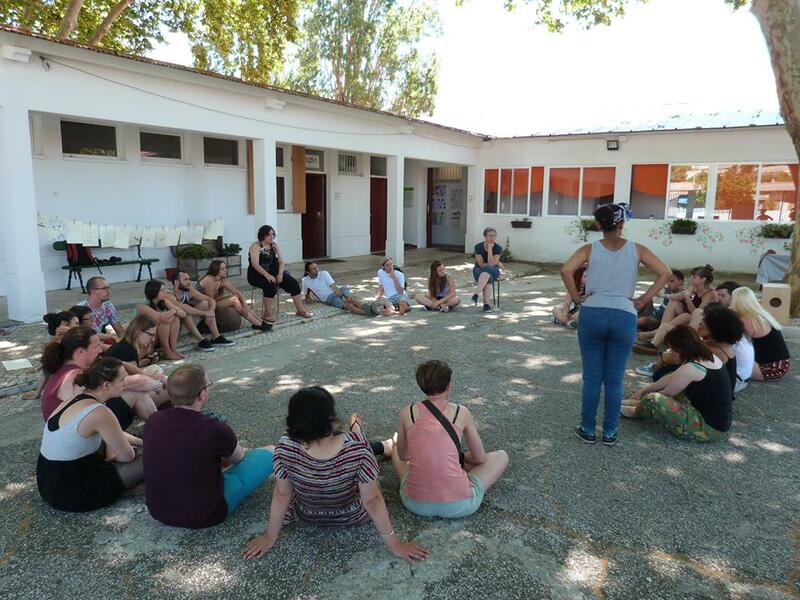 In the several editions of the programme, Spin Hostel hosted people from Canada, Iran, Estonia, the Netherlands, Indonesia, Ireland, Italy, Malaysia, Nepal, Russia, Tunisia, Turkey, China, Vietnam and many other countries of the world! More information about this programme here. In November 2015, 15 youngsters from Romania lived in Spin Hostel during 1 month. 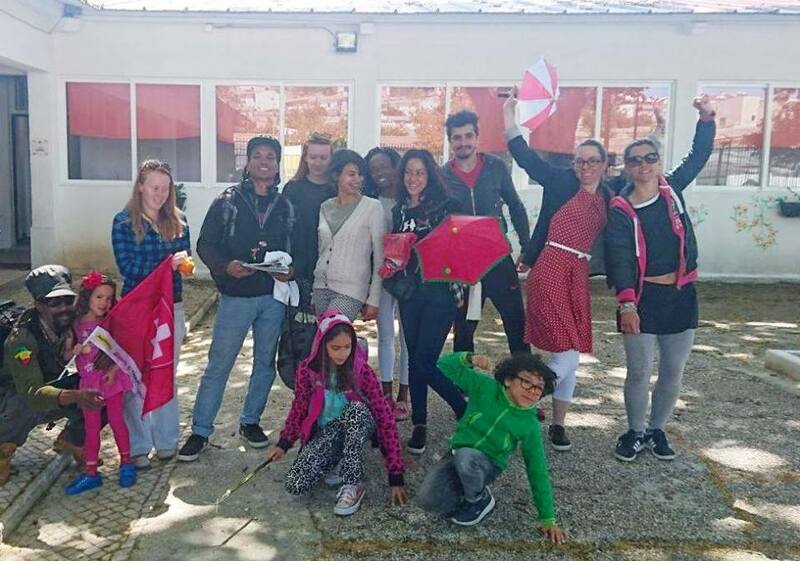 They were participating in “CapitALL”, a short term European Voluntary Service project co-financed by the Erasmus+ programme, which was implemented by Spin Association in collaboration with Lisbon’s Municipality during Lisbon European Volunteering Capital 2015. You may read about this Romanian adventure in Lisbon in Spin’s blog. 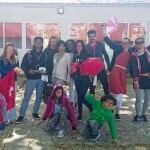 Spin Hostel hosted 25 youngsters from Martinique and Portugal in September 2015. 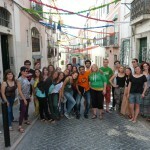 They came to attend an international youth exchange organized by Associação Cultural Ginga Brasil. This group has implemented activities related to Capoeira and Carnival, with the purpose to promote social inclusion through rhythm, dance, music, culture and street art. 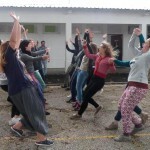 Here you can watch a video of one of the activities developed in the gym, Bellé Dance. 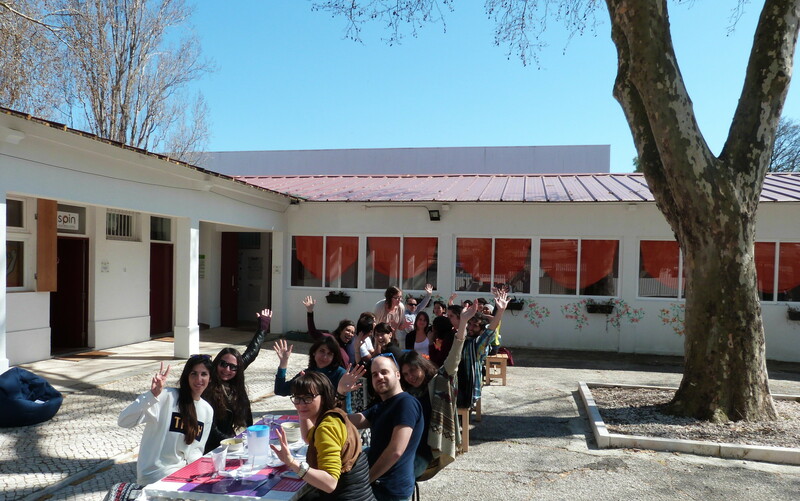 In 2015 Spin Hostel hosted 25 youngsters that participated in the Training course “3I: Innovating youth work, multiplying inclusion and active citizenship” after the Seminar “3E to 3I”, both Associação Spin’s projects, which counted with other 25 youth workers from 10 European countries. As a result of the activities developed, a Toolkit called “Engaging to Include” was created, a training tool about inclusion and participation, which may be consulted and downloaded for free here. 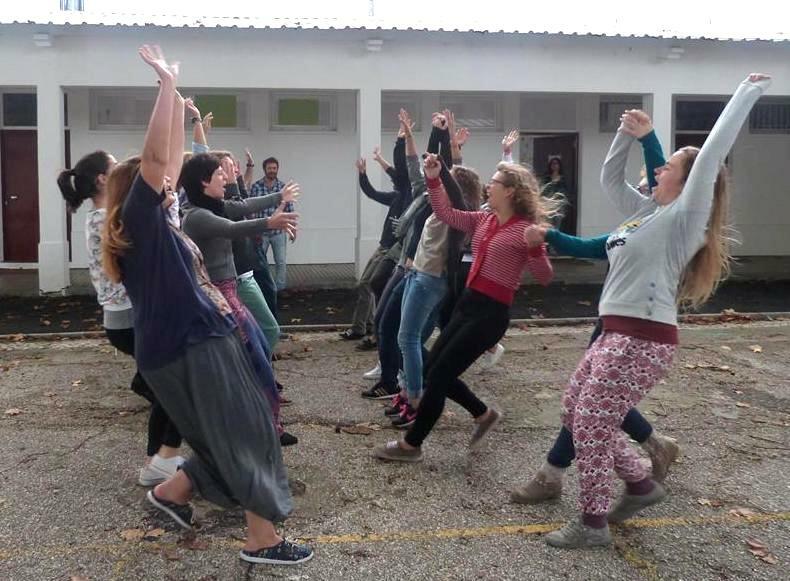 From 17-24 April 2015, Clube Intercultural Europeu, in partnership with CEMÉA Rhône-Alpes (France), organized in Spin Hostel a training in social animation for future French animators who wished to be specialized in intercultural meetings and holiday camps abroad. 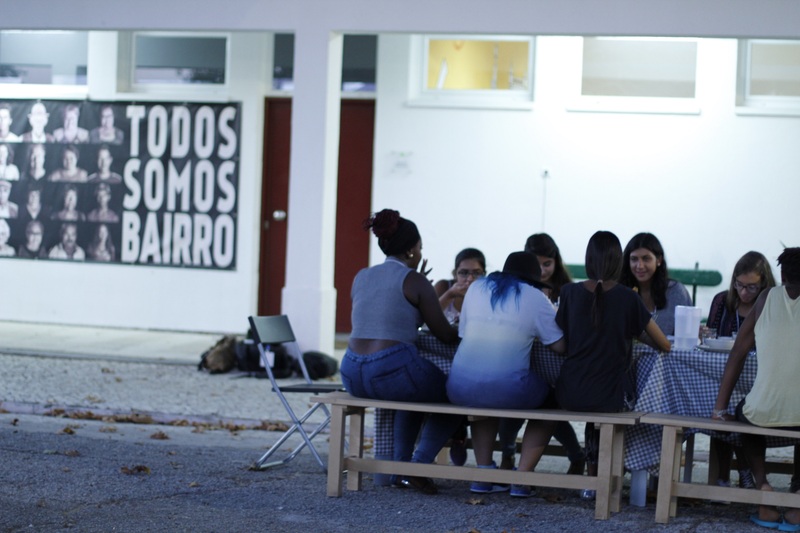 In particular, this group has arranged a game night in Espaço Comunitário Antiga Escola Rio Tejo inviting local people and local organizations from the neighborhood to join. Associação CAIS, promoter of a street football project, was invited to participate in the “football for hope” fest, an event that promotes intercultural dialogue, conflicts resolution and access to sports practice, which took place in Rio de Janeiro in Brasil. 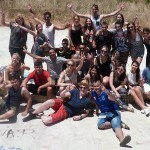 Spin Hostel has hosted the Preparatory Meeting of the Portuguese youngsters that, between 29th June – 2nd July 2014, had prepared the cultural gift, developed their life skills and got prepared to use F3 methodology at a sportive level.